"This powerbank has served me well. It's perfect for people who's always on the go as it can survive number of days before it runs out juice. It could also be a perfect travel buddy because it doesn't weigh heavy. The Ekopack 13000mAh powerbank is available in all Ekotek Kiosks and has a price tag of Php 1,949." 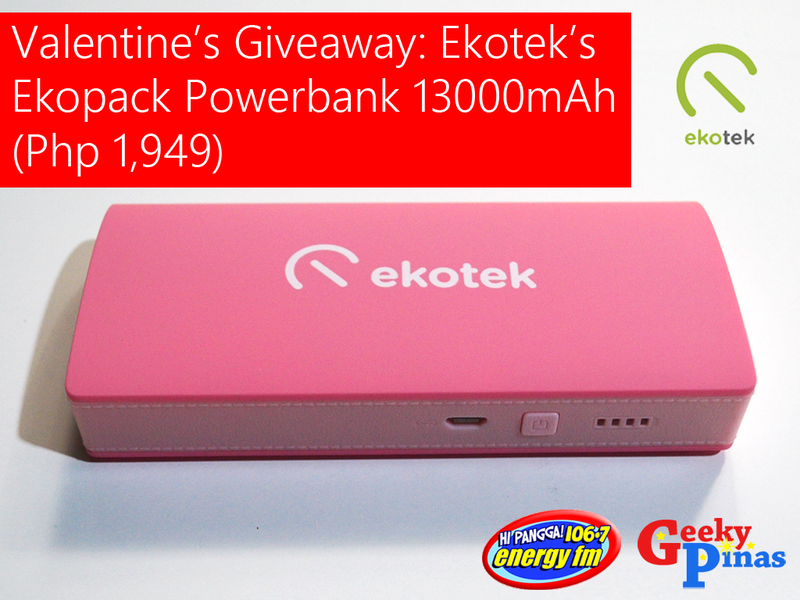 To know more about Ekopack 13000mAh powerbank, you may check our full review here: Click here! Only one account per person in any social media accounts (e.g. 1 FB, 1 Twitter, 1 Instagram) is allowed to enter as entry per contestant. No dummy accounts, any violation to this will lead to disqualification.